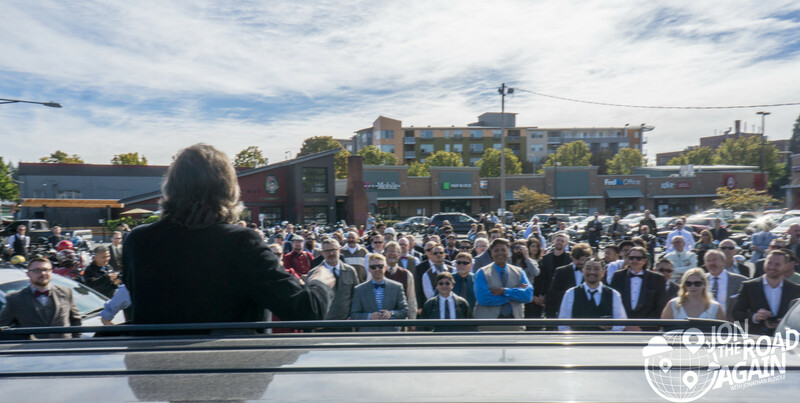 The DGR is something we’ve done since the beginning. 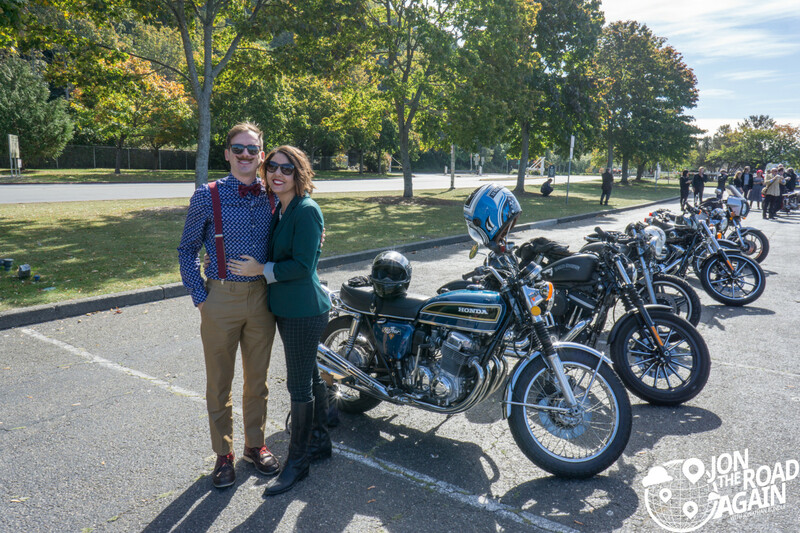 I’ve posted about the 2013, the 2014 rides (in 2015 my camera battery died) and now, the Seattle Distinguished Gentleman’s Ride 2016! We get started at the Elliot Bay Brewery and Pub in Lake City Way. 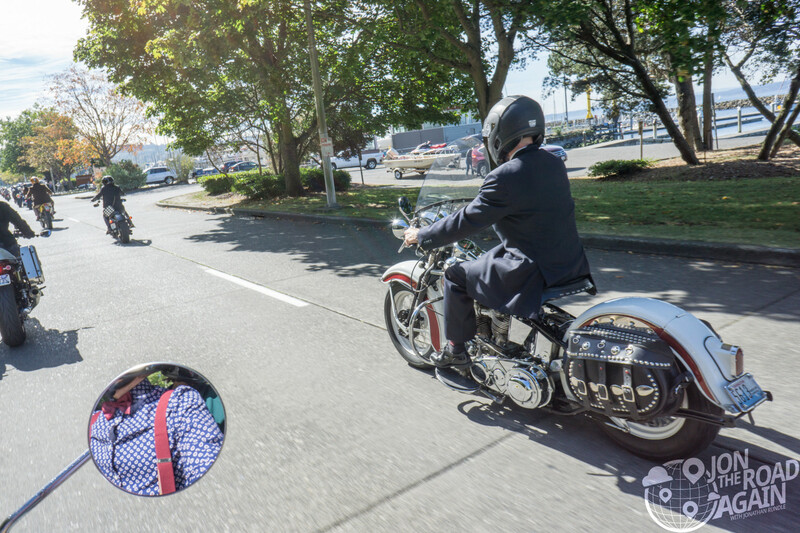 We’ll ride through Magnuson Park, Greenlake, Carkeek Park, Golden Gardens and finally BBQ at the Cretin’s (a local motorcycle club) clubhouse. Below Erik Carlson, DGR Seattle organizer addresses the crowd. 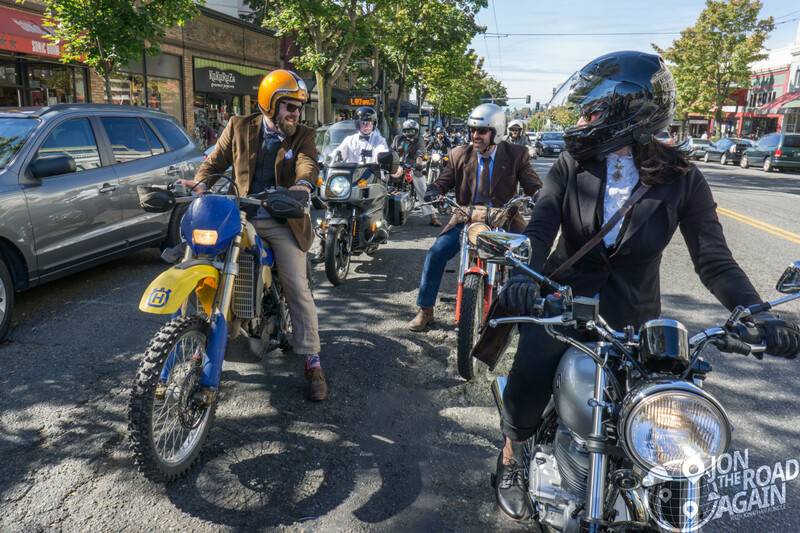 WIth the goodie bags handed out, it’s time to saddle up and ride. 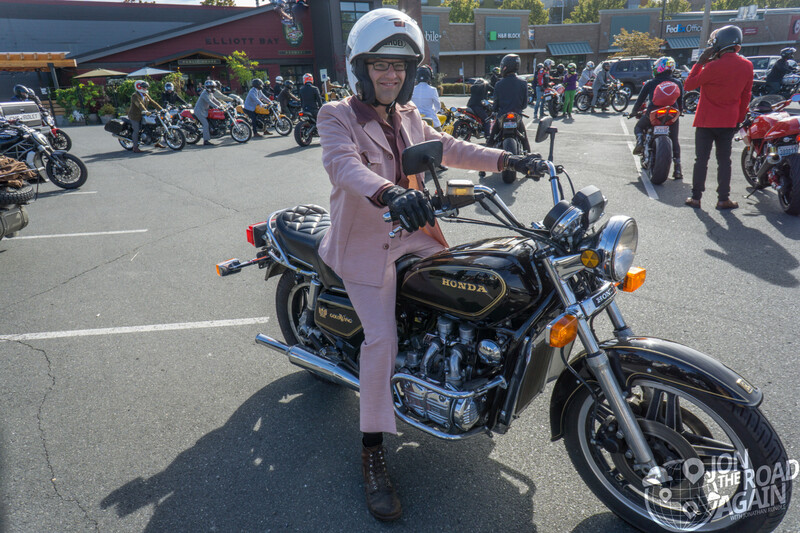 Aaron Milligan is ready to roll with his Goldwing and pink leisure suit. 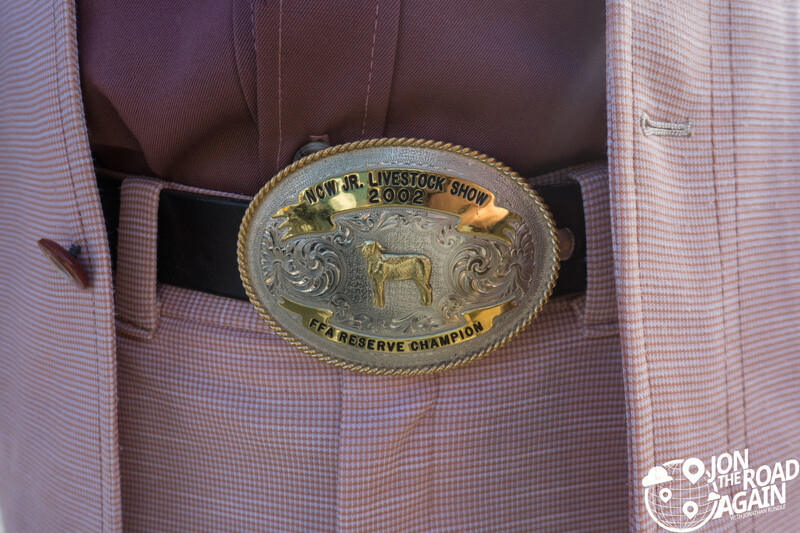 But, it’s really all about that belt buckle. 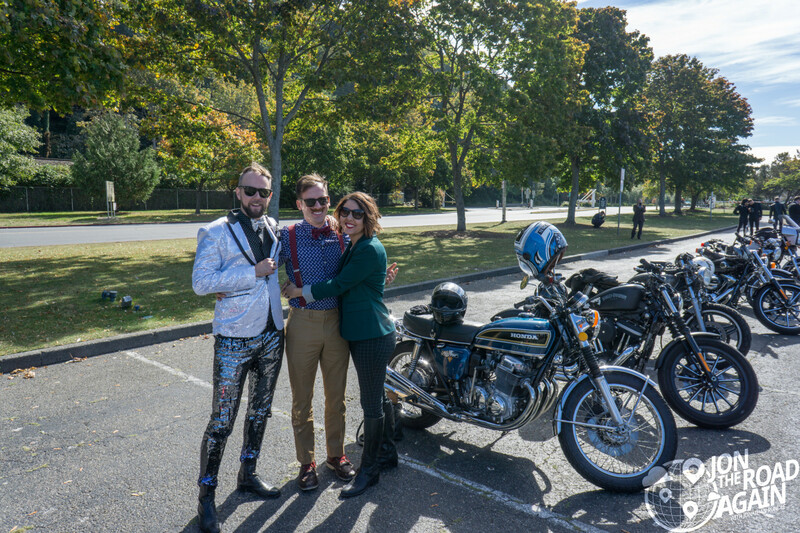 Fellow #fuseboxriders teammate and fundraiser Kevin Uhl jumps in for a photo with Whitney and I. 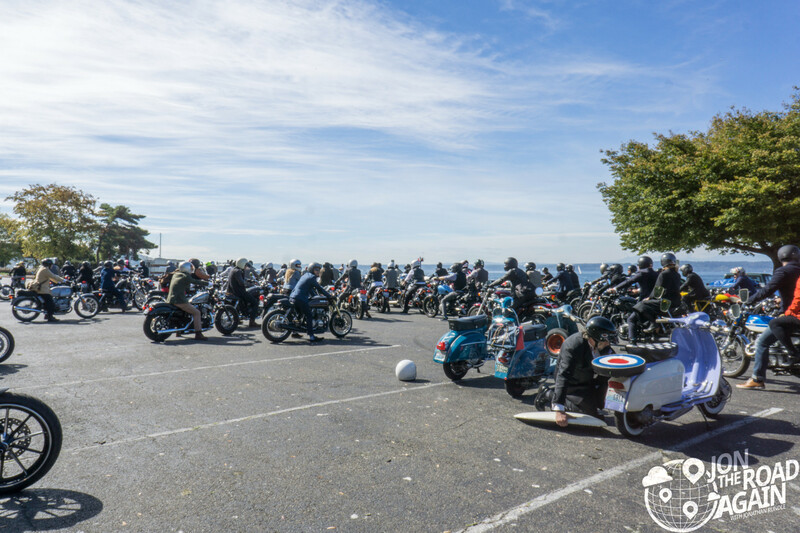 200 riders regroup at Golden Gardens for the final stretch through downtown Ballard. 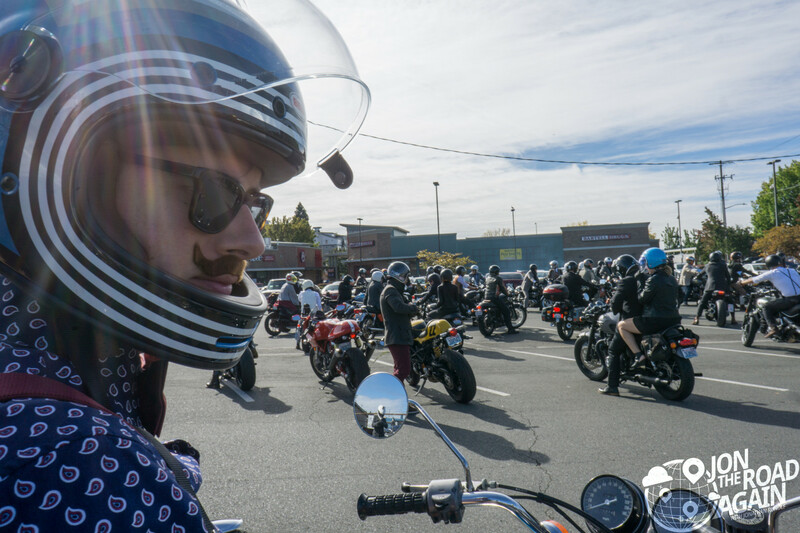 Thank you to all of our wonderful donors for the Seattle Distinguished Gentleman’s Ride 2016. Whitney and I raised $1,020 for this years ride and we couldn’t have done it without the love and support of our family and friends. 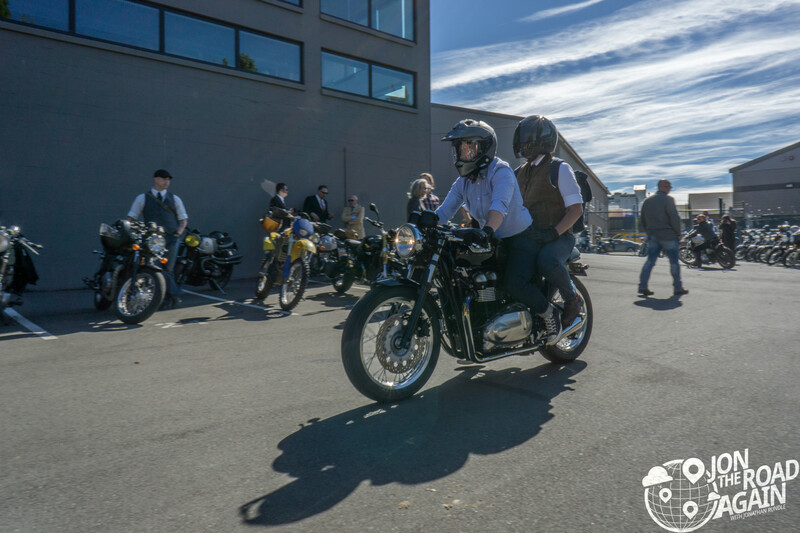 Learn more about the DGR at the global event website.